Adopting a detailed “framework for strategic planning by the university,” Ouachita Baptist University trustees approved a pair of documents that provide guidelines for institutional planning and strategic direction for the coming years. The historic actions took place during the Board of Trustees’ summer meeting held June 14 on the Ouachita campus in Arkadelphia. The two documents, “Guidelines for Institutional Planning, Assessment and Program Review” and “Fostering Foresight and Faithfulness: A Strategic Plan for Ouachita Baptist University,” were developed by faculty and staff in conjunction with the school’s recent self-study for reaccreditation for the Higher Learning Commission of the North Central Association of Colleges and Schools. Ouachita, which was reaccredited last year by the Higher Learning Commission following the university’s in-depth three-year self-study, was first accredited in 1927. Ouachita has held continuous academic accreditation since 1952. Primary goals include advancing excellence in teaching and learning; enhancing student life experiences; strengthening human, physical and financial resources; and fostering internal and external communication. Among specific initiatives to accomplish those goals are supporting teaching effectiveness through enhanced learning environments, promoting student success and academic engagement, working toward building a more diverse university community, renovating andexpanding student life and residential facilities based on enrollment growth and examining available technologies to improve connectivity. Dr. Byron Eubanks, chair of the Planning Committee, told trustees, “The goal was to have an ongoing, functioning, well-operating strategic plan that worked. In the big picture,what the strategic plan tries to do is provide a plan to keep us focused on going in the right direction. Dr. Lori Hensley, associate professor of biological sciences, was named the J. D. Patterson Professor of Biology. Hensley joined the Ouachita faculty in 2002 as a visiting instructor of biology and was named assistantprofessor the following year. 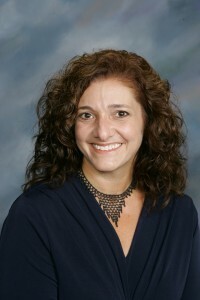 She was awarded tenure in 2008 and promoted to associate professor in 2009. She holds degrees from Bowling Green State University and the University of Tennessee -Memphis and held a postdoctoralresearch fellowship at the University of Arkansas for Medical Sciences before coming to Ouachita. Her recent research has focused on treatment possibilities for the type of cancer known as Ewing’s sarcoma. She and her students have twice been selected in a national competition for distinguished recognitionfrom the Council on Undergraduate Research. She and her husband, Steven, have two sons. Dr. JoeJeffers, professor of chemistry and biology, has been named the Charles S. and Elma Grey Goodwin Holt Professor of Chemistry and Pre-Medical Studies. 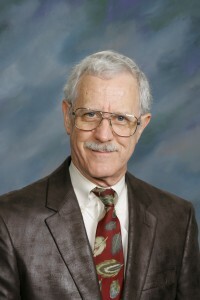 Jeffers, a 1966 Ouachita graduate, joined the Ouachita faculty in 1972 as an assistant professor of chemistry and biology. He holds a Ph.D. in biochemistry and molecular biology from Purdue University and pursued postdoctoral study at the Open University in the United Kingdom and the University of Texas at Austin. He earned tenure in 1978 and was promoted toassociate professor in 1979 and to professor in 1986. He held the Alice andW.D. Burch Professorship of Chemistry and Pre-Medical Studies from 1994 through 2003. He has received several Patterson research grants and Ouachita faculty development grants, and has secured external funding for many research projects and teaching seminars. The Ouachita Student Senate honored him with the Outstanding Teacher Award in 1991. Jeffers was appointed chair of the Department of Chemistry in 1980, and in 1995 he became chair of the Division of Natural Science. He was appointed founding dean of the J.D. Patterson School of Natural Sciences in 2002. He will conclude his service as dean on June 30 and will return to full-time teaching this fall before taking a sabbatical nextspring. He and his wife, Charlotte, are the parents of two adult children. Dr. Heather Thayer was named assistant professor of music in the School of Fine Arts. Thayer earned a Bachelor of Music in horn and violin from Eastern Michigan University in 2000. She holds two master’s degrees from Bowling Green State University, one in horn performance and the other in music theory, both awarded in 2004. She completed the Doctor of Musical Arts degree in horn performance from the University of North Texas in 2011. She has served as an adjunct instructor of aural skills, music theory and applied horn at four universities, including Ouachita and Henderson State University for the past two years. She also has taught private horn lessons in Texas public schools and has performed in Arkansas, Oklahoma and Texas. Lacy S.Wolfe was named assistant professor and circulation/reference librarian in Riley-Hickingbotham Library. Wolfe received both the Bachelor of Arts degree in English (2002) and the Master of Liberal Arts degree in social sciences (2005) from Henderson State University. She earned the Master of Library Science from Indiana University in Bloomington in 2011. She served for three years as a library assistant in the reference and circulation departments for the Central Arkansas Library System in Little Rock. As a graduate assistant at Henderson, Wolfe worked in the English as a Second Language Center where she taught TOEFL prep classes. Currently serving as a student financial services advisor for Brown Mackie College in Indianapolis, she is a member of the American Library Association. She and her husband, William, are relocating from Indianapolisthis summer. Jason Bean was named Ouachita’s new director of recreational life. Bean holds degrees from the University of Arkansas and John Brown University and currently is pursuing a Ph.D. in education from the Talbot School of Theology. He has served the past four years as youth minister at Park Hill Baptist Church in Arkadelphia. He also has taught mathematics at Ouachita and Henderson and previously managed Castle Bluff Camp. His wife, Sarah, serves as hall director of Westside 2 residence hall. They have two children, Emma and Caleb. Ian Deetz will serve as hall director in Anthony Hall with additional responsibilities in Career Services. He graduated from Ouachita in 2011 with a Bachelor of Arts in Spanish and a minor in Christian studies. He previously was a youth ministry intern at Houston Northwest Baptist Church. His wife, Cara, also is a Ouachita graduate. Ashlee Giles will return to Ouachita as an admissions counselor. Earning bachelor’s and master’s degrees from Arkansas Tech University, she served as an admissions counselor in 2007-2009 before working at Henderson as assistant director of residence life. She returned to Ouachita for several months in 2010 before her husband, Robert, who works for the Arkansas StateParks system, was transferred out of the area. He recently was transferred to White Oak State Park and they have relocated to the Arkadelphia area. Hillary Hill will serve as hall director of Frances Crawford East and as an assistant director in Campus Activities. Hill is a 2012 Ouachita graduate with a Bachelor of Arts in sociology and a minor in psychology. As a student, she was involved with Campus Ministries through Backyard Bible Clubs and the Big Brother Big Sister Program as well as with Elderserve through the Elrod Center for Family and Community. Rachel Jones will serve as hall director in Maddox Hall and as assistant director of recreational life. She comes to Ouachita from Oklahoma State University where she graduated with a Bachelor of Science ininternational business in 2011, with minors in marketing, management and Spanish. Jones was a resident assistant in the residential life division atOSU, and was honored as RA of the Year in 2010. She was active as a small group leader in her church, a volunteer with Special Olympics and a member of the OSU women’s tennis team. She is engaged to Wilson Jones. Allison Grigsby Sweatman will serve as hall director in Frances Crawford West Hall and as an assistant director in Campus Activities. She graduated from Ouachita this spring with a Bachelor of Arts in mass communications and minors in English and Christian studies. While a student, she served three years as a resident assistant in Gosser Hall. She also served in Campus Ministries as the Noonday ministry leader. Her husband, Andrew, also is a Ouachita graduate. Ouachita Baptist University, a private Christian liberal arts university in Arkadelphia, is ranked among “Best National Liberal Arts Colleges” by U.S. News & World Report and among “America’s Top Colleges” by Forbes magazine. Serving since 1886 as a Christ-centered learning community, Ouachita has a current enrollment of 1,594 students from more than 30 states and 40 nations.